Loved Veganuary? Keep your plant-based journey going with the latest issue of Simply Vegan. From healthy, nourishing dishes to Dirty Vegan’s tasty new recipes, we’ve got all bases covered. Find out how to get others on board with our feature on breaking the vegan taboo, and if you’re ever asked about the sustainability of your food choices, read up on how you can eat more ethically (don’t worry, avocados are still on the menu). 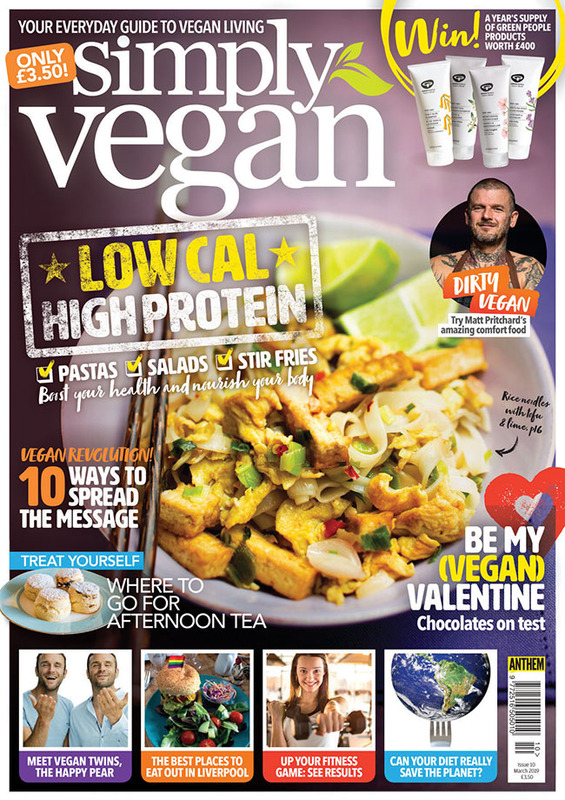 This issue we also review the best places to go for afternoon tea and taste test vegan Valentine’s chocolates. Irish twins and best-selling authors The Happy Pear talk about their plant-based journey and Ultimate Performance show you how to up your fitness game.